Limited and time consuming access to suppliers and transporters. Lack of international exposure of products and services. 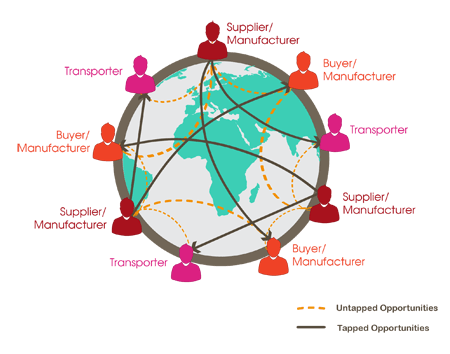 More time and resource consuming supplier selection process. 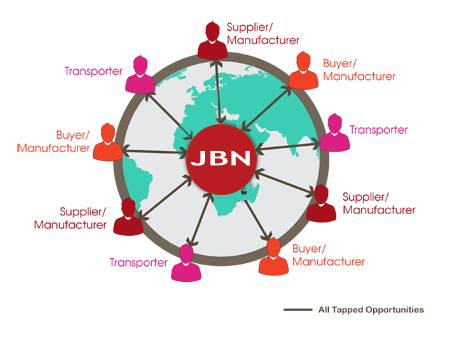 Multifunctional business platform for global suppliers, buyers, and transporters where they can convey their inquiries and offers to global market. Provides widespread and unexploited opportunities for clients. Promotes and advertises client products and services. Improves bottom line through supplier optimization and advance revenue breaks. Evolution in competitive market edge. Reduces time to act on opportunities hence reducing inventory cost.